The fulfillment of the Great Commission depends on church planting. Jesus told us to disciple, baptize, and teach (Matthew 28:19-20).Those three things are done in the context of the local church. Whether you sponsor a Church Planter or just want to give a one time gift to empower one that is already in the field, we have a variety of ways that you can help us equip Church Planters to fulfill their commission in the field. In the rural areas where our Church Planters work often only 20% of the people can read at all! These solar powered audio bibles not only allow the people to hear the word of God in their local language but they also create wonderful fellowship as groups of 5-10 join together to listen. Additionally the audio bible is equipped with a lamp and a charging port for cell phones! Cell phone charging is a great small business that allows the Church Planter to meet new people in the community! The need is great! Donate today and send one, five, 20, 100, or more audio bibles to Africa! Equipping Church Planters with Swahili, Amharic or Oromiffa Bibles to hand out to new believers during their baptisms is a powerful thing! Even when literacy is low, it encourages the new believer to learn to read by following along while the Church Planters preach!The more you donate the more we can supply! 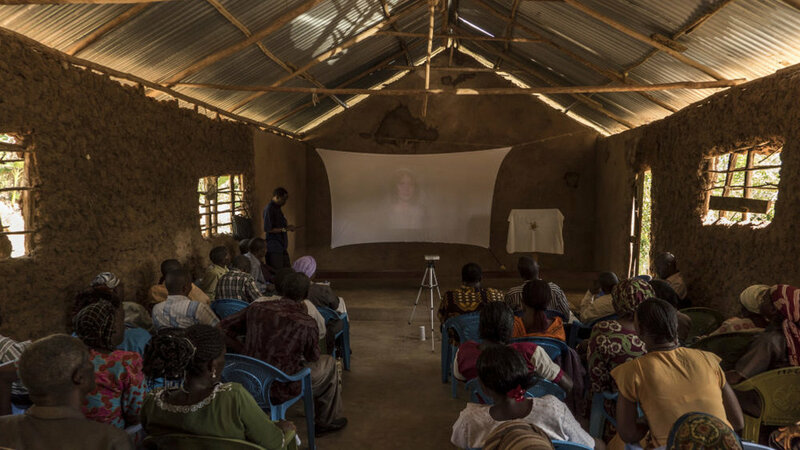 For years the Jesus Film presented in the local language has been one of the most effective tools in Africa for telling the story of who Jesus is! Technology has now made it possible to provide Church Planters with small portable kits that fit in a backpack yet can show the film to 100+ people. In an Islamic area of the Horn of Africa, thousands are accepting Jesus as their personal savior! As these people see the horrors and terrors of terrorist groups they are turning to the love of Jesus! We need your help to train and baptize these new believers! This project will fund a five-day foundational training class, with lodging & food for 30 new believers! We will end the training with a baptism celebration! Due to security reasons we can not share the exact location. Church Planters rely on their feet or public transportation. Public transportation is expensive and often unavailable to Evangelicals in Orthodox or Muslim areas. In rural areas where there are no houses to rent, they are often left with no choice but to spend an entire day walking from their home to unreached villages to build relationships, evangelize, show the Jesus film, and follow up on new believers discipleship. A motorcycle not only takes the burden off of their feet but it also adds to the pace at which the Gospel is spread throughout the rural areas of Africa! In the same spirit of the need for a motorbike, mountain bikes are far less expensive and much less expensive to maintain. While they limit the distance that a Church Planter can go in comparison to a motorcycle, they still empower the Church Planter to go farther than by foot!